New Haven – A recent study found that estrogen in suburban yards is altering the ratio of male and female green frogs at ponds or lakes. According to the Yale research, high levels of estrogen in areas where there are vegetable garden, manicures lawns, and others, are changing the frogs’ endocrine system. As consequence, the number of female frogs is rising while the amount of male frogs is lowering. For the research, which was published in the journal Proceedings of the National Academy of Sciences, scientists analyzed 21 ponds in southwestern Connecticut in 2012. Previous studies have also discovered similar effects caused by agricultural pesticides and wastewater effluent. 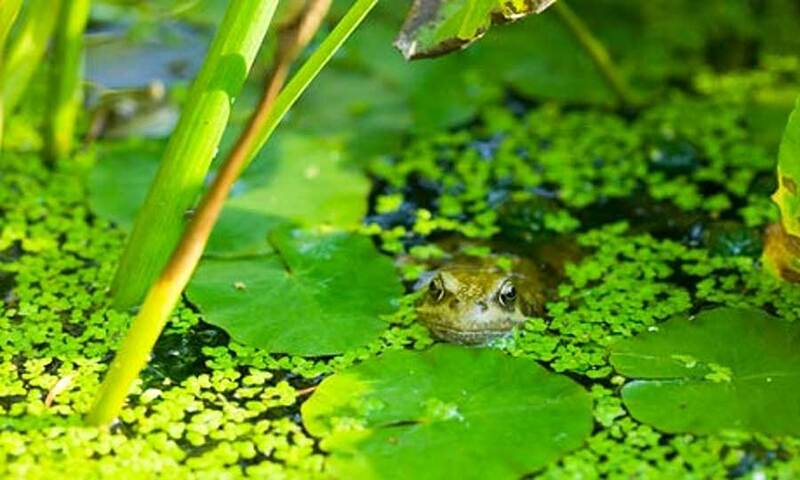 “In suburban ponds, the proportion of females born was almost twice that of frog populations in forested ponds. The fact that we saw such clear evidence was astonishing,” explained lead author Max Lambert, a doctoral student at the Yale School of Forestry & Environmental Studies. The team looked at ponds from all different degrees of suburban impact, from entirely forested ponds to ponds heavily surrounded by suburbia. The locations studied also included ponds with septic systems and sewer lines. In many cases, researches had to personally ask permission to residents in order to look into their backyards. “Our work shows that, for a frog, the suburbs are very similar to farms and sewage treatment plants. Our study didn’t look at the possible causes of this, partly because the potential relationship between lawns or ornamental plantings and endocrine disruption was unexpected,” Lambert added. The author also determined that some plants found in lawns naturally produce phytoestrogens. Basically, maintaining a lawn is one source of the contamination. Additionally, scientists noted that other species who live in suburban ponds may be at risk, such as amphibians, like wood frogs, spring peepers, and salamanders, as well as birds, turtles, and mammals. Moreover, the University of Yale team of researchers are currently working on determining the impact that suburban ponds may have on other species.